Peter Ducker, Chief Executive of Institute of Hospitality, dropped by SDH Institute city campus today for a short visit. 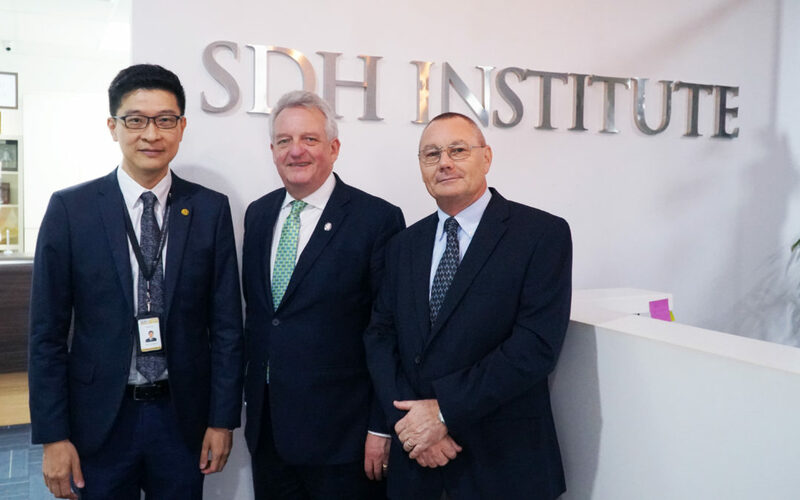 Mr Ducker was warmly received by Chia Tuck Keong, the Managing Director of SDH Institute, and Barry Hayes, our Senior Lecturer from Vatel Singapore. Highly abreast with innovation, technology, and trends in the hospitality field, Mr Ducker is a huge believer in the importance of career-long learning and continuous professional development. Previously, Mr Ducker served as Executive Director at the Hotel Booking Agents Association (HBAA) – which he stepped down in 2012 to take on the role of Chief Executive of Institute of Hospitality. The Institute of Hospitality is the professional body for people in hospitality management including individual managers and aspiring managers working and studying in the hospitality, leisure and tourism (HLT) industry. The Institute has been in existence since the 1930s when it began in the UK. 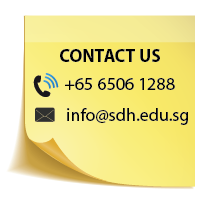 SDH Institute is the first education institution in South East Asia, amongst the public and private education institutes, to have achieved this prestigious accreditation. Together with SDH on the IoH accreditation listing are esteemed education institutions like Hong Kong Polytechnic University, Ryerson University (Canada), Sheffield Hallam University (UK) and University of Strathclyde (UK). ● Post Graduate in Hospitality Management.